Not all dental work is planned. There are often accidents that happen after normal business hours. This is when you need and emergency dentist in Southaven, MS. Emergency dental care can be anything from a toothache to a broken or knocked out tooth Often times emergency dental care Southaven, MS isn’t something that you have not thought of previously. You may need an emergency tooth extraction causing you to search for a 24 hour dentist in Southaven, MS. It is important to stay calm during this time. The first course of action is to stop any and all bleeding. In your time of need you may not be thinking clearly and that is where we come in. Urgent dental care can often be a time of stress and worry. We have taken the guess work out of this for you. Below you will find a list of three emergency dental clinics in Southaven, MS that off 24 hour dentists. All of their information is listed out for you to ease the stress and help you find a walk in dentist easily. Take confidence in choosing one of these highly qualified emergency dentists. Be sure you call the emergency dentist in Southaven, MS that you choose to let them know you are experiencing a dental emergency. They will offer you assistance and give you instructions on what to do. This simple call can make all the difference in getting your the help you need in the quickest and more professional way. Description Call our Southaven referral service Emergency Dentists USA phone number and get connected to an emergency dentist in Southaven, MS in seconds! We provide a service that will get you to the dentist that fastest and easiest way possible, you can call us 24 hours a day, 7 days a week and its 100% free! Find Mississippi 24 hour dentists today. Dr. Umfress leads a highly skilled team in a state of the art facility. They treat a wide range of dental issues ranging from routine check up to oral and maxillofacial surgeries. They also offer financing to their patients for their dental procedures. The office is more than qualified to handle your dental emergency. Please call to alert the office staff of your dental emergency before your visit if this is after normal business hours. Dr. Shleweet leads his passionate and skilled team to offer the highest quality dental care to their patients. They pride themselves on listening to the specific needs and concerns of each patient to give them the special care they need. This personal approach is coupled with the newest dental technology and technique to off a truly unique service to their patients. Take comfort in knowing that Dr. Shleweet and his team will carefully address your dental emergency. Be sure to call prior to arrival with your dental emergency if it is after hours. Dr. Scott and the team at American Family Dentistry know that every tooth counts and they pride themselves and keeping every tooth safe and healthy. The offer general dentistry services as well as specialized services and surgeries. Dr. Scott strives to offer the best after hours emergency dental care. They stress they are always available to help in after hours emergencies. There is a doctor on call 24 hours a day 7 days a week so that your dental emergency can receive the utmost care and attention. Be sure to call after hours when a dental emergency arises. The first step during your dental emergency in Southaven, MS is to remain calm. 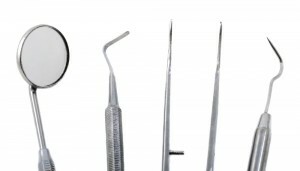 You will need to focus on stopping any bleeding and protecting the effected tooth. Do not take aspirin or ibuprofen. Tooth and gum injuries can result in serious infection so you want to be sure to seek an emergency dentist in Southaven, MS to ensure that you receive the best dental care possible. Below are some tips for some of the most common emergency dental situations. If you are experiencing severe pain you can ice the affected area for 10-20 minutes every hour until you see your emergency dentist in Southaven, MS.
For a broken tooth you want to rinse your mouth out and also wash the tooth. Be sure to save the pieces of the tooth to show the emergency dentist. Debris between teeth can often be fixed by carefully using dental floss. If you cannot remove it then you should seek emergency dental care. Now that you have some tips and suggestions of emergency dentists in Southaven, MS, you are ready to choose where you seek emergency dental care and address your emergency in a calm and positive way. To ensure you choose the right walk in dentist in Southaven, MS you can check their accreditation. You can also consult with the Mississippi Dental Association and the American Dental Association. There are also reviews online from other patients who have visited emergency dentists in Southaven, MS.